Looking for the best Atv trails around Saint Cloud? Find the top rated atv trails in Saint Cloud, whether you're looking for an easy short atv trail or a long atv trail, you'll find what you're looking for. Click on a atv trail below to find trail descriptions, trail maps, photos, and reviews. My friend and I biked from brainerd to pine river . 64 miles round trip. The trail is flat which is awesome. Also most of the trail from Brainerd is straight for miles. Easy to bike and lots forest. Scenic from nisswa. Toured this trail and was shocked at how poorly maintained it was. Heaved pavement everywhere and overall bad surface. I broke 3 spokes and gave up the trail halfway through in favor of riding the roads. Roads in Minnesota are beautifully maintained. The trails should be too. The state does not live up to its bicycle friendly reputation. I needed to drop off some papers for my son in Maple Grove so we decided to get in a bike ride in that area. 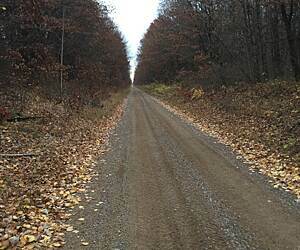 I searched Maple Grove, MN and discovered the Medicine Lake Regional Trail. The closest parking for us was at Fish Lake park. We went south out of that park and quickly discovered it WAS NOT a rail trail. My wife only lasted about 4 miles before she had enough. Our total bike ride was less than 8 miles although she can usually do between 20 and 25 miles. I just now checked and the trail is marked "non-RT" which I am now sure means that it's not a Rail Trail. The trail itself was okay for me although going south put us in a residential area rather than in the woods. Maybe going north would have been better but I'll never know now.